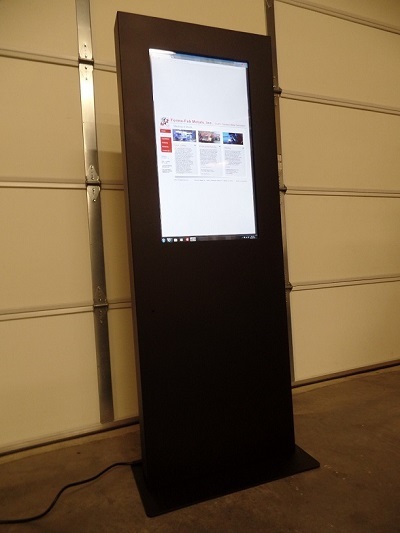 The DSE kiosk is a large format digital signage kiosk. The DSE design is simple and sleek. 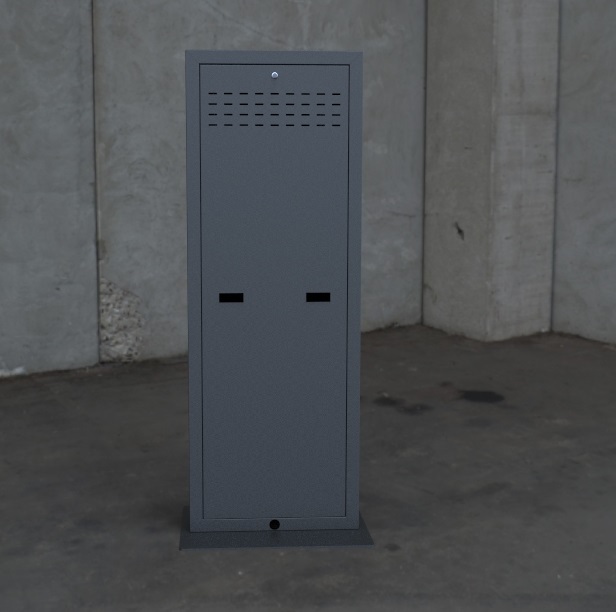 The enclosure is very rugged and made with 14 gage cold rolled steel. The enclosure is painted with a black powder coating. The front of the enclosure is uncomplicated and a laser cut monitor opening for a precise fit to the monitor of your choice. 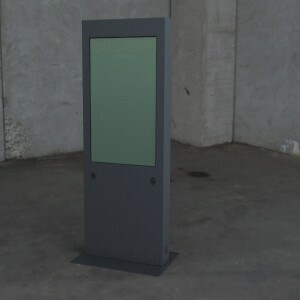 The kiosk monitor is accessed through a removable rear door panel and the computer/media player is mounted behind a hinged rear door. Custom graphics are available to convey your brand. Amplified speakers and/or a camera are common options. Directional speakers to keep noise bleed from nearby work stations are also available. 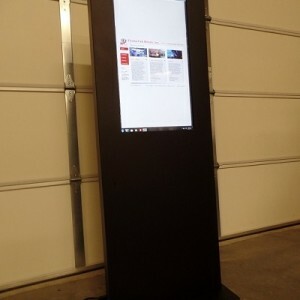 Categories: All Kiosks, Digital Signage Kiosks, Wayfinding Kiosks. Tags: Airport Kiosk, Digital Signage, Information Kiosk, Lobby Kiosk, Wayfinding Kiosks.